State-owned China Central Television (CCTV) reports (via Global Times) that the private Chinese company Chengdu Aerospace Superalloy Technology Co. Ltd. (CAST) can mass-produce single-crystal turbine blades for use on jet engines and rockets. Chinese analysts view CAST’s progress in this respect as integral to fulfilling the People Liberation Army’s (PLA) burgeoning and increasingly qualitatively driven requirements, such as its push for next-generation combat aircraft, namely the Chengdu J-20, Xian H-20 stealth bomber and the Shenyang FC-31. Introduced in the late 1980s, single-crystal engine blades are integral components to current and future turbofan engines. These blades are designed to sustain the mechanical loads borne from the significantly high rotational speeds (e.g. 12,000+ rpm) required of them in turbofan engines. “Mastering the production technology of single-crystal turbine blades and aero engines will offer assured supply to the army and increase our fighter jets’ ability to withstand prolonged battles,” said retired PLA Navy (PLAN) Rear Admiral Xu Guangyu to the Global Times. 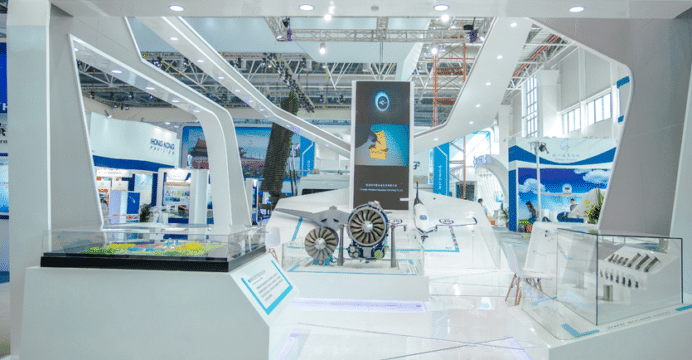 The state-owned Aero Engine Corporation of China (AECC) is at the forefront of Chinese turbofan engine research, development and production efforts. However, as recently as this March, AECC’s Chen Xiangbao told the China Daily that the quality of Chinese single-crystal blades (when mass-produced) was “not very satisfactory.” However, Chen noted that the challenge was not insurmountable. It is not known if CAST’s mass-produced single-crystal turbine blades are at-par with the quality-control requirements set by AECC. If this is not the case, then CAST will be unlikely to provide for China’s domestic military and civil aviation market (as most engines are sourced from AECC, which – if interested in CAST – would subcontract production work to that company). That said, it would appear that Chinese private sector players are making relatively rapid strides in offering marketable products. Granted, the means vary. For example, the Chinese company Skyrizon has partnered with Ukraine’s Motor Sich to assemble and sell the latter’s various engine designs in China, including the AI-222 turbofan, D-27 propfan, MS-500V turboshaft and others. Regarding CAST, it should be noted that its parent company is also involved in purifying rhenium, which is an essential rare earth metal for producing single-crystal blades. Reuben F Johnson. “Airshow China 2016: Ukraine’s Motor Sich to begin licensed production in China.” IHS Jane’s Defence Weekly. 07 November 2016.